A woman sits alone and thinks to herself. A painting converses with a room. The room talks back. So says Barbara Bloom, whose installation of selections from the Jewish Museum’s collection, create a dialogue with architect C.P.H. Gilbert’s French Renaissance Warburg mansion—the building that houses the museum—real and imagined visitors, and the objects themselves. 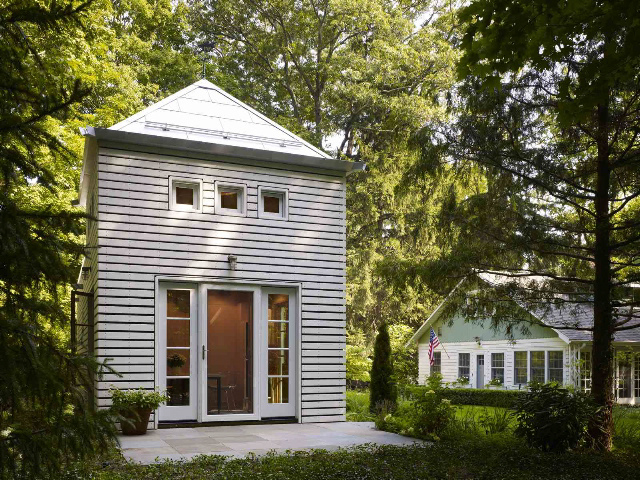 Architect Ken Saylor, who worked closely with Bloom on the spatialization and design of the exhibition, said, “we tried to ask ourselves ‘What does it mean to inhabit an exhibition?’ where things are simultaneously absent and present, masked and revealed, teased and assaulted, subject and context, museum and house.” Inspired by the design of the Talmud, the central text of Rabbinic Judaism, where the original text is framed by annotated scholarly debates across generations, the exhibition is entitled As it were…So to speak. That suggests “what you are about to hear ... Is not exactly what it appears to be.” The exhibition is a narrative but without beginning, middle, and end, which harmoniously surfs the practices of art, architecture, and design. The solitary woman described above, sits in thought during Sabbath preparation in Isidor Kaufmann’s painting Friday Evening, from 1920, which hangs in the Warburg dining room. In it, she sits below a chandelier that served as the model for the actual lighting fixture that hangs in the room, a new commission by Bloom for this exhibition called Twelve Glasses (2013). It features 12 vessels in “an inverted parallel world” that mirror 12 glasses from the collection on the table directly below. Hanging across from Friday Evening is a framed reproduction of the painting in reverse, a mirror-image of the room. Viewers experience multiple inversions, reflections, and double-takes, but are in on the joke. Only the eyes are visible in portraits in the entryway and interstitial pilasters; the rest of their faces are masked out. Visitors engage directly with these sitters behind the masks who face off across on opposite sides of the hall (as banter from Curb Your Enthusiasm and Annie Hall plays). This roundelay of characters reminded me of comedian and musician Steve Allen’s PBS program Meeting of Minds, 1977-81, a dinner party populated by historical figures—Plato, Martin Luther, Cleopatra, Marie Antoinette, Thomas Paine, Thomas Jefferson, Karl Marx, Charles Darwin—using their actual words to converse about philosophy, religion, history, and science. Barbara Bloom imagines Nefertiti, Emile Zola, Amy Winehouse and Jesus playing games with an 1898 board game on the Dreyfus affair and a game using playing cards made from a desecrated Torah scroll, at a table off the dining room. In fact, the exhibition is laid out in distinct rooms of the house, and the objects are displayed in vitrines in the shape of furnishings. “I thought, what if we ‘furnished’ the house, but that it wasn’t really furniture. The objects that we ended up building are between furniture and cases and sort of ghosts of places where people could have congregated,” said Bloom. It reflects the ambiguity of the mansion turned museum that is now lies somewhere in between. In the dressing room, a Freudian “couch,” a “chair,” and a “vanity” hold amulets, charms, watches, and gifts (some actually exchanged with Freud). In the bedroom, the “bed” cradles marriage and divorce contracts, and Bloom imagines The Song of Songs sung by Leonard Cohen and Lou Andreas-Salome, one of the first female psychoanalysts and friend of Nietzsche, Wagner, Freud, and Rilke. In the library the “bookshelf,” “table,” “desk,” and computer station sport an array of hollowed-out books ranging from bibles to Joan Didion, fingered by metallic hand plaques. (The family’s Warburg Library, having been saved from the Nazis, forms the heart of the Warburg Institute at the University of London with 350,000 volumes.) The music room overlooking Fifth Avenue is anchored by two “couches” and a “coffee table” filled with watches and clocks and populated by six people including Marcel Proust, Albert Einstein, and Julian Barnes, conversing “in and over time.” At the heart is a “piano” with Torah pointers –often in silver, used to keep pace with the text and prevent fingers from touching the parchment—for strings. The scores to George Gershwin’s “Summertime” and Arnold Schoenberg’s “Drei Klavierstücke” sit on the music rack waiting to be played, while a small video of the two composers playing tennis at Gershwin’s Beverly Hills home is inserted in a “book.” Also in the room is a window case with silhouetted objects in colored frames to represent synesthesia, the neurological condition that simulates one sense for another, such as colors for words. Here are representations for Kandinsky, Mozart, Marilyn Monroe, Jimi Hendrix, and Pythagoras. The “cupboards” that lead the way to the next exhibition, Stefan Sagmeister & Jessica Walsh’s Six Things, contrasts talismans of memory of the same subject, the holocaust, captured in film: Claude Lanzmann’s Shoah and Steven Spielberg’s Schindler’s List. The “cupboards” and “drawers” contain hats, and empty cases for pipes, scrolls, shofars, and circumcision implements. Bloom’s text then focuses on how Friederich Nietzsche’s sister, Elisabeth, distorted his writings after his death to support her anti-Semetic beliefs, which he had vociferously argued against in life. These empty cases are perhaps the clearest interplay with traditional museum display—or its absence. Overall, the result is an immersive, spatial exhibition that can be experienced on a series of levels, digging ever deeper into this hall of mirrors. As it were…So to Speak: A Museum Collection in Dialogues with Barbara Bloom at the Jewish Museum, 1109 Fifth Ave. closes August 4, 2013. Cut ‘n’ Paste: From Architectural Assemblage to Collage City The Museum of Modern Art 11 West 53rd Street New York, NY Through December 1 Cut ‘n’ Paste: From Architectural Assemblage to Collage City, on view at The Museum of Modern Art from July 10 to December 1, examines the essential yet overlooked role of collage in architectural representation. The exhibition places Ludwig Mies van der Rohe’s early photomontages next to the cut-and-pasted experiments of artists, photographers, and graphic designers. Together, these pieces suggest an immersive “collage city,” originally conceived by Colin Rowe and Fred Koetter in the 1970s, that becomes animated through superimposing various elements. 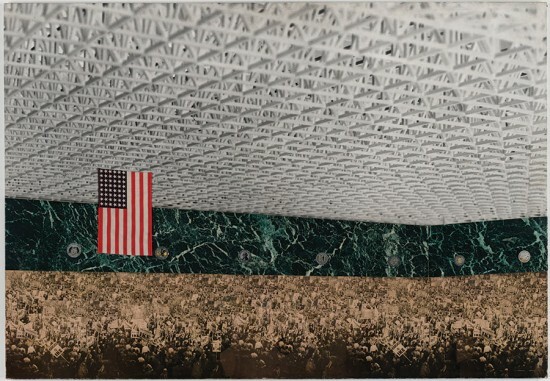 Combining popular references and dynamic cultural connections, Cut ‘n’ Paste emphasizes early uses of collage to map out both its progression as an aesthetic technique crucial to architectural representation and as a cultural practice that constitutes the city. Pedro Gadanho curated the exhibit along with Phoebe Springstubb. 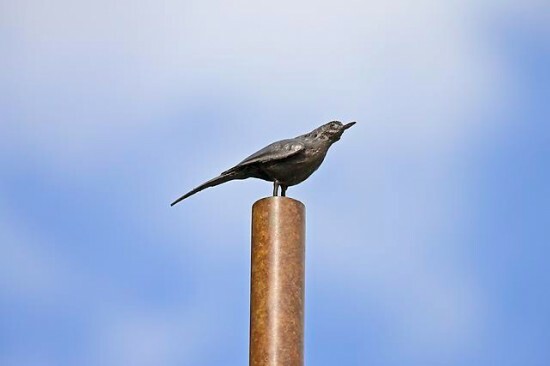 In addition to works by Mies van der Rohe, featured artists include Ralph Schraivogel and Paul Citroen. 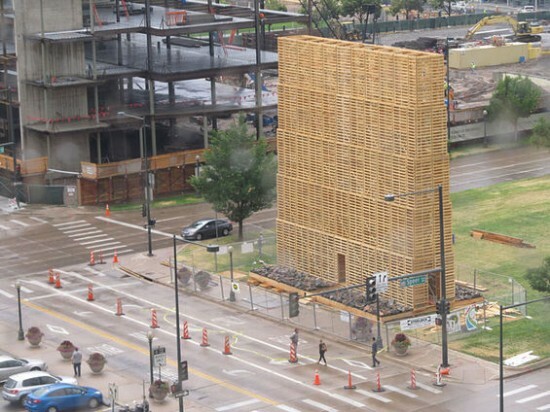 Mine Pavilion by Pezo von Ellrichshausen (Larimer St & Speer Blvd), a display involving several building types that render it a billboard to drivers but a tunnel to pedestrians. The Hotel Rehearsal by Alex Schweder (1535 Welton St), an installation depicting the automobile as an icon of suburban sprawl and the elevator as an icon of urban density. 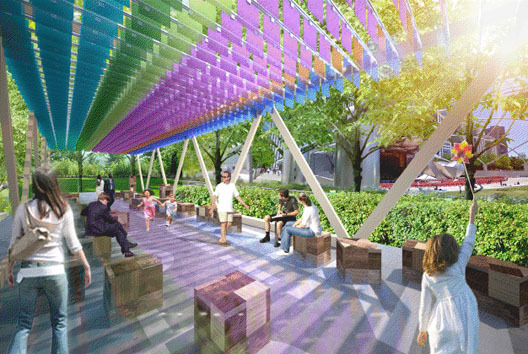 Skyline Cloud by plan:b arquitectos (Skyline Park between 15th & 18th Sts), a collection of matching shade structures in Skyline Park, a notoriously vacant space in spite of its central location. The Mirror Stages by June14 (16th St Mall between Cleveland & Court), a project surrounded by distinct socioeconomic and ethnic populations that forms a shared identity through butterflies. Check out full descriptions and the complete list of installations, billboards, and urban signage. At Salone del Mobile in April, French designers Ronan and Erwan Bouroullec demonstrated what it’s like to take a spin in a BMWi. Quiet Motion, the Bouroullec brothers’ interactive interpretation of the sustainable electric car brand, was an installation open for visitors to climb onto revolving platforms to relax as the world leisurely passed around them. 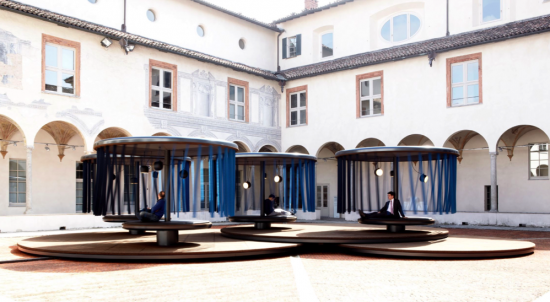 Situated within a picturesque cloister of a Milanese monastery, four spinning cork platforms rotated slowly and quietly as, according to the brothers, “an allegorical interpretation of movement and contemplation.” The designers construed the concept of sustainable mobility with materials such as fabrics made of the sustainable wool yarn used as seat upholstery in the electric car and lightweight carbon columns produced using renewable energy resources. To reference materials used in car design, blue fabric strips surrounded each of the four carousels and leather covered the platforms. Bouroullec brothers-designed Aim lamps hung from the ceilings and illuminated the area at night. Materials commonly associated with furniture and interiors such as cork and fabrics were also utilized. Tomorrow, June 21, is the summer solstice. 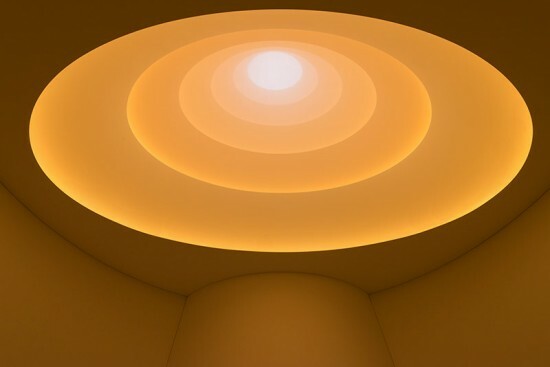 On the occasion, the Solomon R. Guggenheim Museum will open the doors on a major solo show of the work of James Turrell, called simply James Turrell. It's a fitting day to open an exhibition on the American artist. Since the 1960s, Turrell has developed a diverse body of work that uses light as material and medium. The centerpiece of the show is Aten Reign, a site-specific installation that fills Frank Lloyd Wright's famous rotunda. Made from a series of interlocking fabric cones that relate to the Guggenheim's interior ramps, Aten Reign interlaces the prevailing daylight with subtly changing color fields produced by concealed LED fixtures. Viewed from below, on reclining benches or lying flat on the floor, with the gentle bubbling of the Guggenheim's fountain providing aural accompaniment, the installation provides a meditative, perception altering experience. In addition to Aten Reign, the exhibition features several of Turrell's older works that focus on light and perception. Afrum I (White) (1967) presents viewers with a glowing white cube that, upon closer inspection, reveals itself to be simply two intersecting planes. The Single Wall Projection Pado (White) (1967) turns a section of wall into what appears to be a luminous opening to another realm. Litar, one of Turrell's Space Division Constructions, troubles the viewer with a rectangle of uncertain description. Is it a flat panel of color? A foggy void? Or an opening into another chamber? James Turrell runs from June 21, 2013 until September 25, 2013. The Denver Architectural League asked architects and designers from across the world to reimagine the micro-apartment on a riverfront site by designing an eight-unit structure that diverges from the uninspired design of multi-family housing elsewhere in the community. Their Micro Housing Ideas Competition generated over 100 entries and a jury selected ten proposals for special distinction. The competition was inspired by a concern regarding a shortage of innovation present in Denver’s multi-family housing market. 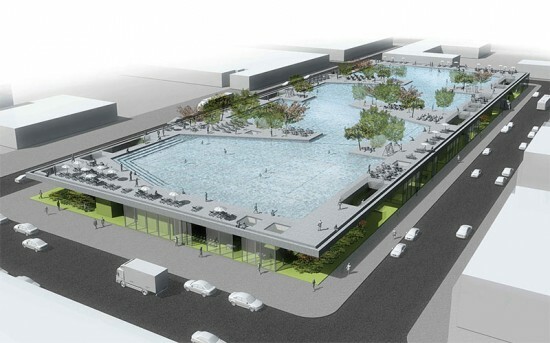 Members of the design community were given the opportunity to rework and establish the future of this specific sector. The first place award of $3,000 was presented to Studio de Arquitectura y Ciudad based in Querétaro, Mexico for a project titled “Micro Urban.” Tadeja Vidoni, Lea Ritonja & Inez Goessens of Alicante, Spain received second place for a projected called “Micro Units.” "Microhousing/Macropossibilities" by A43 Arquitectura from Vila Niva de Gaia, Portugal and a proposal by Ahmed Hamdi Architects from Cairo, Egypt earned Honorable Mention for their submissions. All of the entries are available for viewing online. An exhibition of all the submissions opened on May 10 in Denver at the Temenos Gallery inside the design studio of Roth Sheppard Architect and will remain open for viewing through June 21, 2013. The Museum of the City of New York presents A Beautiful Way to Go: New York’s Green-Wood Cemetery, a new exhibition that examines the Brooklyn cemetery’s astonishing 175-year history, on view from May 15 to October 13. 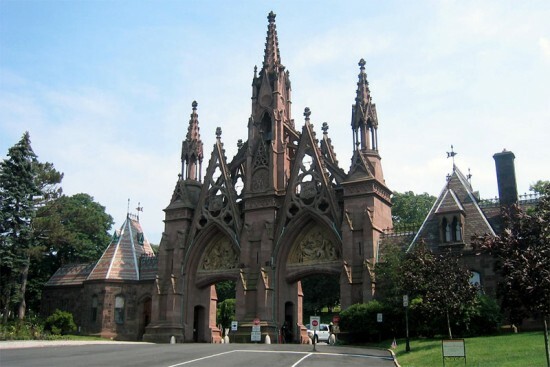 As a National Historic Landmark that predates both of Olmsted's Central Park and Prospect Park, the cemetery grounds cover a vital 19th-century American public green space and remain a critical site in New York’s architectural history. The landmark landscape characterizes the “rural cemetery movement” and tells a complex narrative that links architectural, art, social, and cultural histories. 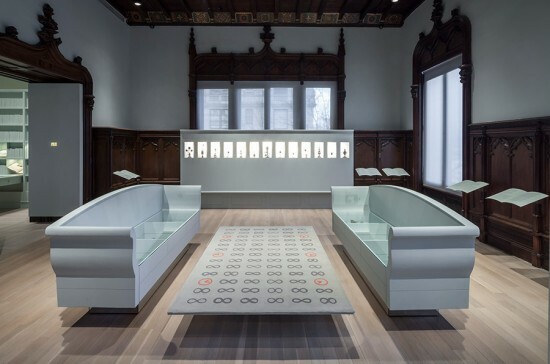 The installation involves a gallery-sized map of the cemetery that serves as a guide for visitors to walk upon and as the framework for the arrangement of over 200 artifacts, sculptures, architectural drawings, and documents. The exhibit not only focuses on exploring the cemetery, but also its most eminent permanent residents. Burial at Green-Wood garnered considerable respect and attracted posh New Yorkers to choose it as the ultimate resting space. The cemetery also represents a new type of burial space: non-sectarian and not bordering a church. The rural burial ground concept, with its greenery and comfortable travel distance from the city, was first designed for Paris’ 1804 Père-Lachaise. The idea reached the United States by the 1830s and Mount Auburn in Cambridge was the country’s first such cemetery. Green-Wood Cemetery, designed by David Bates Douglass, followed in 1838 within the newly incorporated city of Brooklyn. Highlights of the exhibition include 19th-century landscape paintings by Asher Brown Durand and John William Casilear, chief Hudson Valley School artists who are buried at Green-Wood. The exhibition incorporates viewing machines with “stereographs” that provide popular period three-dimensional pictures of Green-Wood Cemetery and one of four zinc Civil War soldiers on site that were reproduced in cemeteries nationwide. The gentle drumming sound of rainfall is one that many of us find soothing, but it is a natural phenomena that we can only experience at a safe distance without suffering the consequence of being drenched. With their one-of-a-kind installation, Rain Room, the designers at rAndom international made what you thought was impossible possible—presenting anyone who is curious for a new sensation with the opportunity to fully experience standing unprotected in the rain without ever getting wet. This novel, experiential installation has been on view in London at The Barbican’s The Curve Gallery since last October and received showers of praise from visitors, some of who determinedly waited on line for 12 hours just to see the installation. On May 12, the installation, which was allegedly well worth the wait, will move to New York City where it will temporarily make a new home for itself at the Museum of Modern Art. In order to create this surreal experience, the designers used a one hundred square meter grid of continuous pouring water. As visitors meander through the space, they are given the illusion that they are in control of the rain. The designers implemented a sophisticated tracking sensor that immediately responds to the movements and presence of a human body, instantly forcing the water valves overhead to seal (at super-high speeds) while all around them it continues to rain. 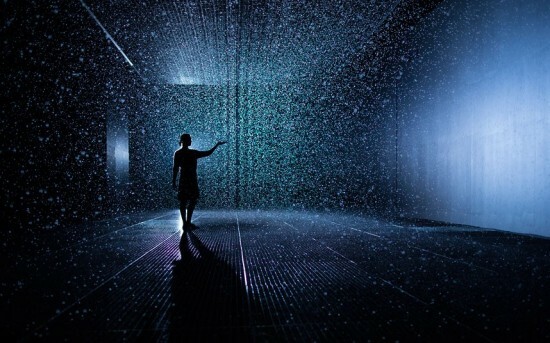 Visitors are able to walk through the torrential downpour, enjoy the tranquil sound of a falling rain, and feel the moisture rise around them, without a drop of water ever touching their skin. This remarkable installation leaves people walking away dry and feeling as if they've witnessed a truly magical experience.